As a business owner, you’re always looking to paint your business in the best possible light. To do this, you may strive to have the cleanest business card or the most innovative store front. But, none may be as important than having and maintaining a great looking website. There is zero excuse for not investing in developing a site you should be proud of. Every day, prospective customers are searching for businesses like yours online. The first impression they get of your business is through your site. If your website is user friendly, suitable for mobile devices, and nice looking, great! If you haven’t put much thought into your site, your audience can tell. Still think website design is irrelevant to the success of your business? According to a recent study, the world of e-commerce generates $1.2 million every 30 seconds. Crazy! If you want in on this, having a site that customers don’t trust won’t help. When you have an effective, professional design, it will build up the credibility of your brand. Your website is the first point of contact that a potential customer will have with your business. Again, you want to put your best foot forward. This is why it is important to develop an attractive and inviting site that users will want to interact with. 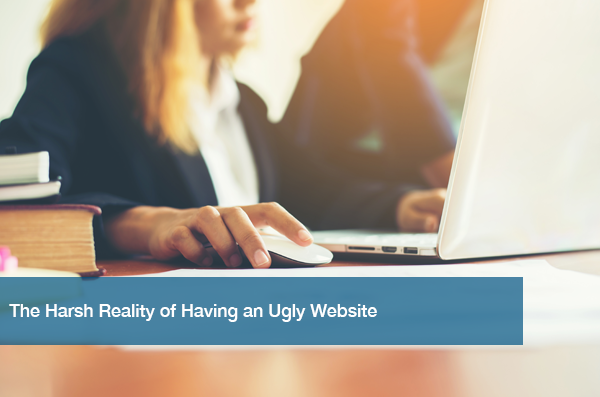 Regardless of how professional you present your business in real life, a subpar website will overshadow that. According to another recent study, it takes someone .05 seconds to form an opinion about a website. Remember, you don’t have a second chance to make a first impression. Remember that you should use every part of your website as a tool for communication. It gives you the opportunity to tell the world about your business, so why not take advantage of that? For this reason, everything on your site should be up and running well. If there’s a bad link, a missing page, or forms that don’t work, that doesn’t make your business look good. When someone comes to your website, you want them to do more than just look. You want them to buy something, to follow your social media accounts, to learn about your services, etc. Your layout, design, and even color choice all can play a crucial part if these things happen or not. If there is nothing going on, how do you expect to enjoy your site? At the other end, if there’s too much going on to the point of confusion, how can you expect to achieve your goals? If you need help keeping your web presence active and appealing, look no further than ITC. We manage your website, so you can feel confident that it will leave a good first impression. Call (512) 348-8324 for a quote and see how we can help improve your website today.